In other words, I'm not suggesting for a minute that it's an easy path, especially if you want to be the next JK Rowling, but there are many things that can be done to get closer to that goal. Along the way, there are multiple alternative ways of generating income from putting words on the page. Let's look at job hunting tips for writers. 1. It's a good idea to develop a portfolio, blog or collection of articles that you have written because employers need to see samples of your work, especially if you don't have any direct experience. You can show these to potential employers as proof of your skills and work ethic. A blog is a good way to start - I recommend WIX.com or Squarespace (like this site you're on now) to publish about what you're interested in for someone else. 2. Use keywords to find jobs as a writer. I like indeed.com for this because I think it has the best search engine. Below are some words and phrases that may help you identify positions; some more exciting than others! Please, please, please read the descriptions even if you think you don't have an idea of what they're about. For example, if they look for experience writing for SEO (Search Engine Optimisation) and you don't have that - could you find out how to do it, take a course or read some example articles? Remember that there are many companies who content written for the web, which wasn't the case 20 years ago - this is a whole new opportunity for aspiring writers. If you don't have the skills, ask yourself "how can I get the skills'? 3. Create an awesome CV that stand out. Normally I suggest black and white traditional CVs, but if you really want to stand out, consider using a graphically designed template from Canva.com. It will take a bit longer to get it right, but it will certainly grab attention. 4. Create a profile on Upwork.com and start pitching to clients on the website. Upwork is a great site for getting freelance gigs in many industries - I'm sure there are other alternatives but I think Upwork is the best. It's great because you can pitch to anyone in the world and build up a profile over time. However, remember this is not a quick fix - you'll need to be patient and build your profile and brand over time. 5. Go to the jobs section of LinkedIn.com. They have lots of positions for 'freeland writers' that are coming from all over the world. Why not apply? If you already have a CV and a profolio - it's worth a shot. 6. Check out these awesome resources, links and books, particularly if you want to be a fiction/non fiction writer. I've come across these over the past 3 years and think they're a great help in terms of concentration, productivity, writing well and selling your work. Also, there's a very interesting idea in 'The Book in a Box Method' which is where the authors write books for other people who are too busy (or lazy) to do it themselves. This is a potential income for someone who doesn't have lots of ideas but still loves to write. Ryan Holiday's Perennial seller - Great tips and tricks from the best-selling author. Book in a Box - A book about how to write and sell a book. This is separated into two parts: how to put a book together and how to publish/sell it. Well worth a read. Deep Work - A masterpiece from Cal Newport. 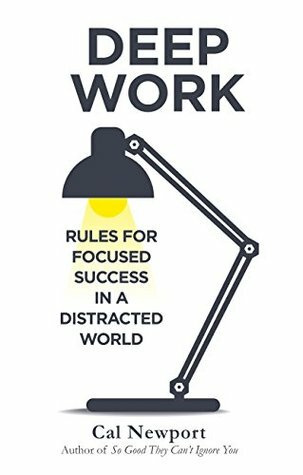 He discusses how to stay focused in a distracted world, and how to produce more in less time. Excellent productivity tips. War of Art - a book about the artistic struggles of sitting down to do the work. Don't expect to learn much by reading this, but it will help with motivation. John Steinbeck has some great tips that are available here. Also, check out the other writers' tips in the links at the bottom.